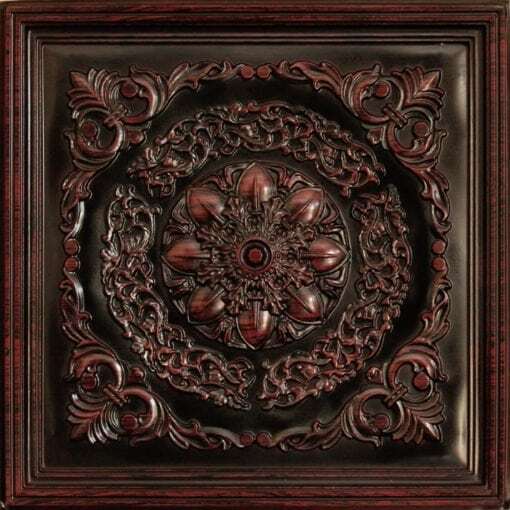 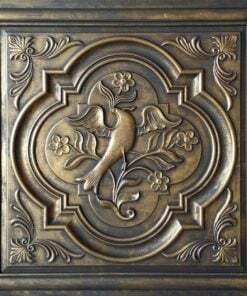 The highly detailed design of these tiles makes them an excellent choice for Medieval, Oriental, or Antique themed rooms. 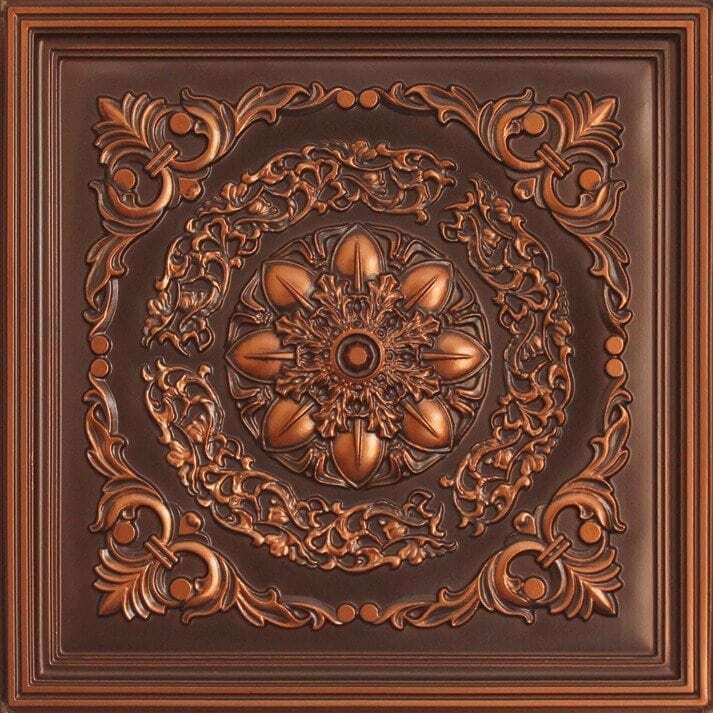 They are made from durable PVC and are suitable for commercial and residential use. 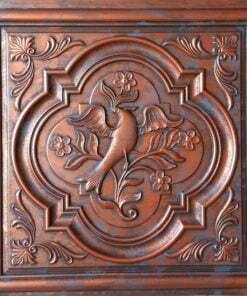 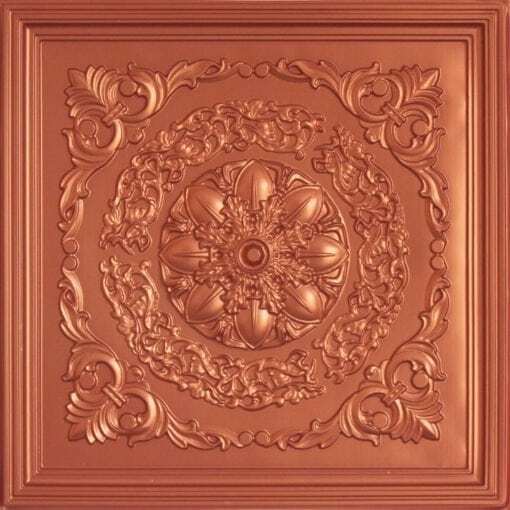 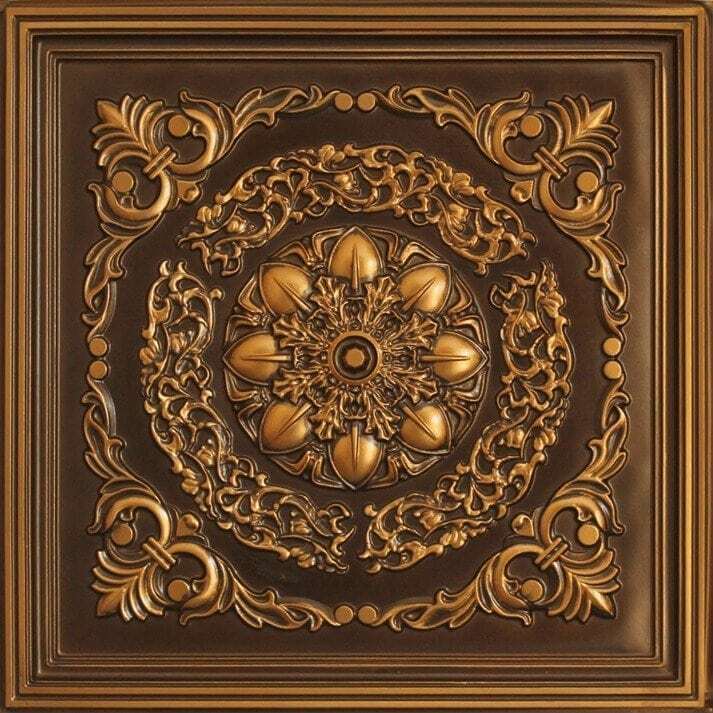 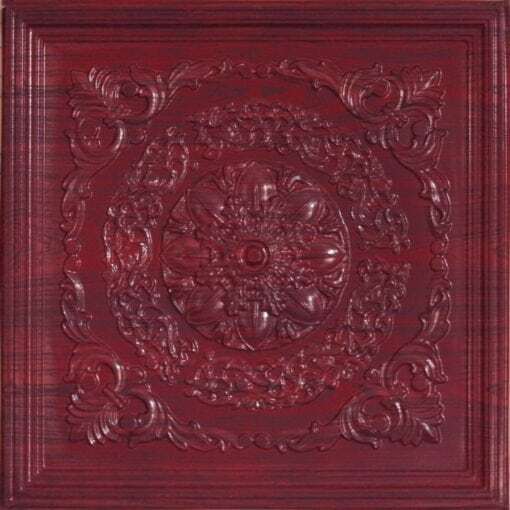 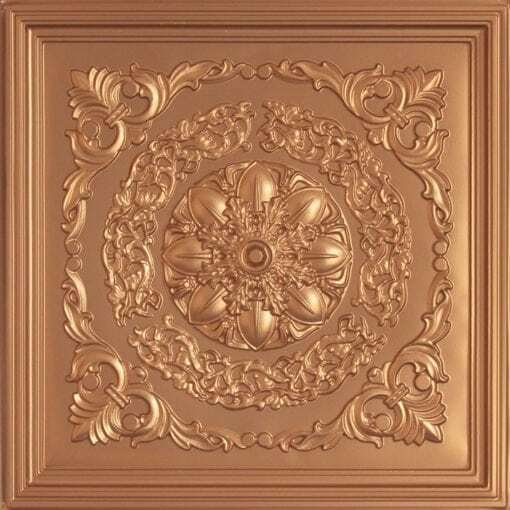 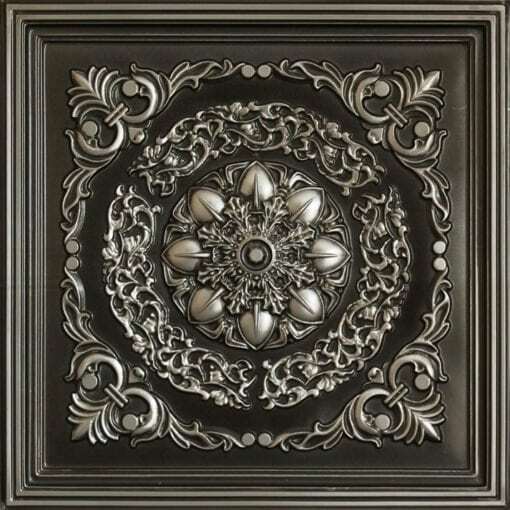 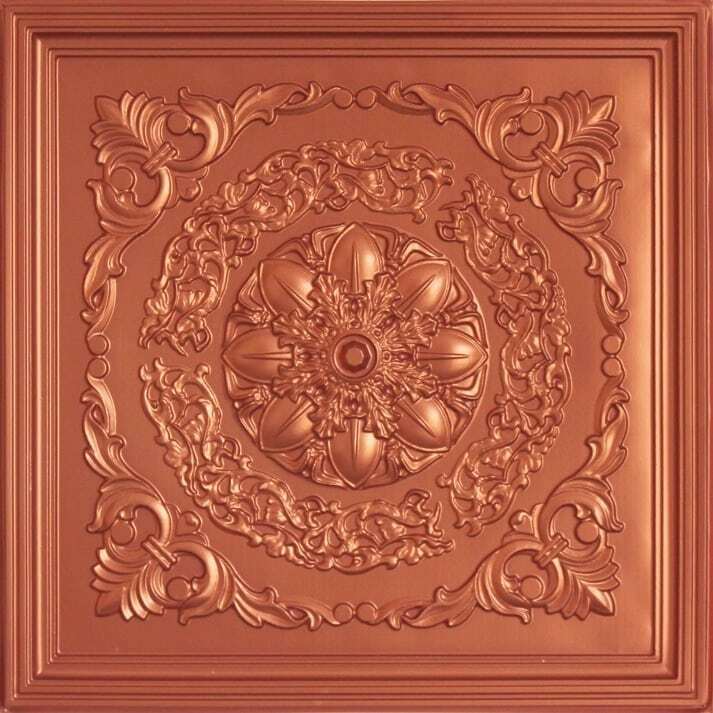 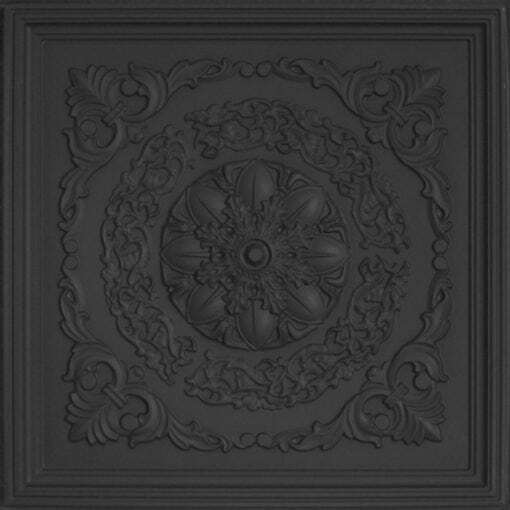 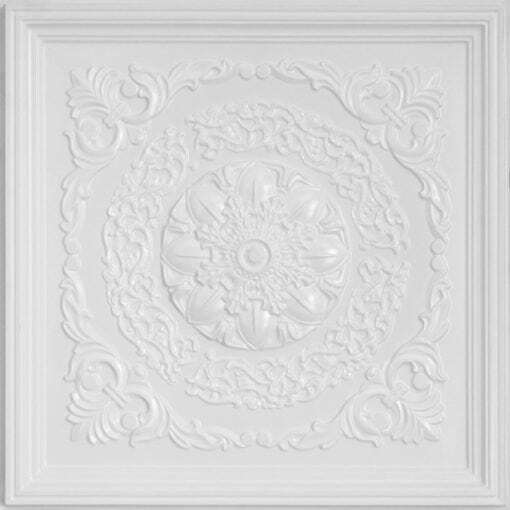 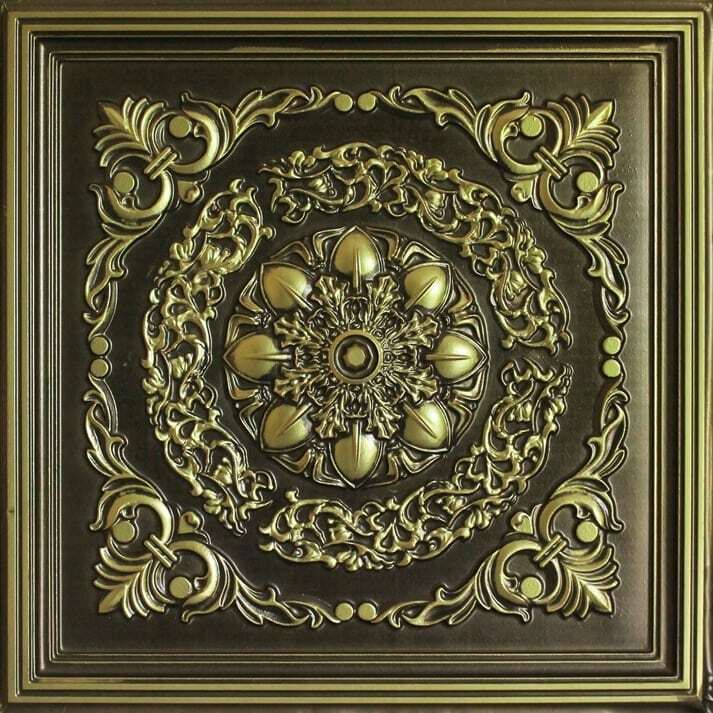 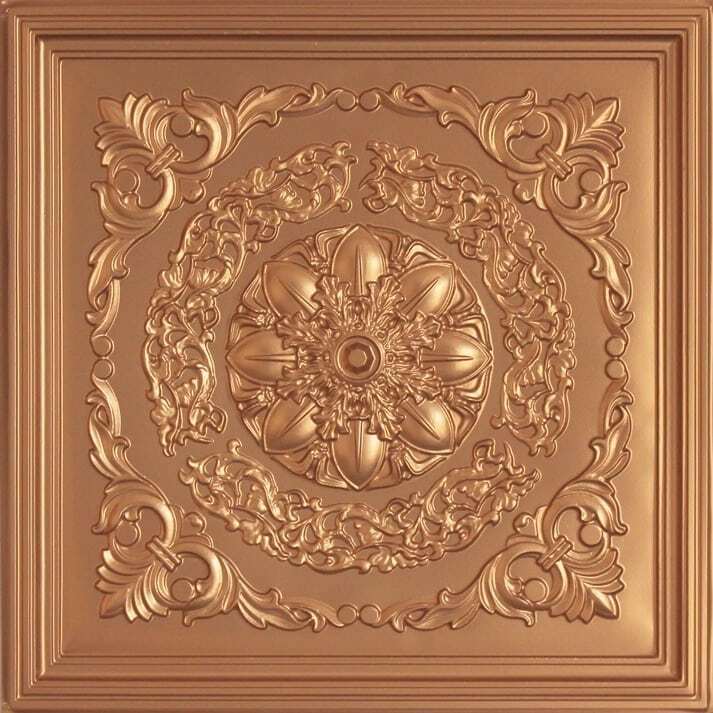 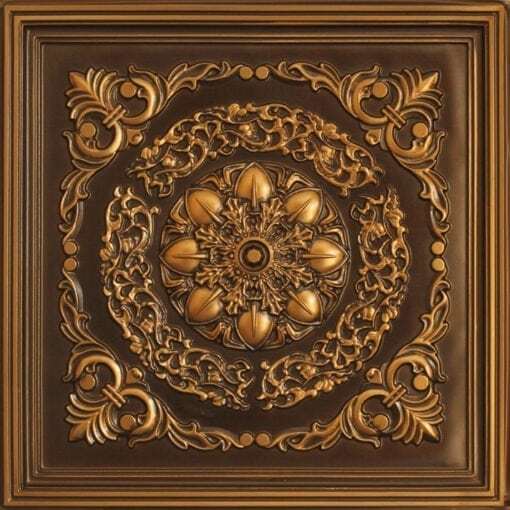 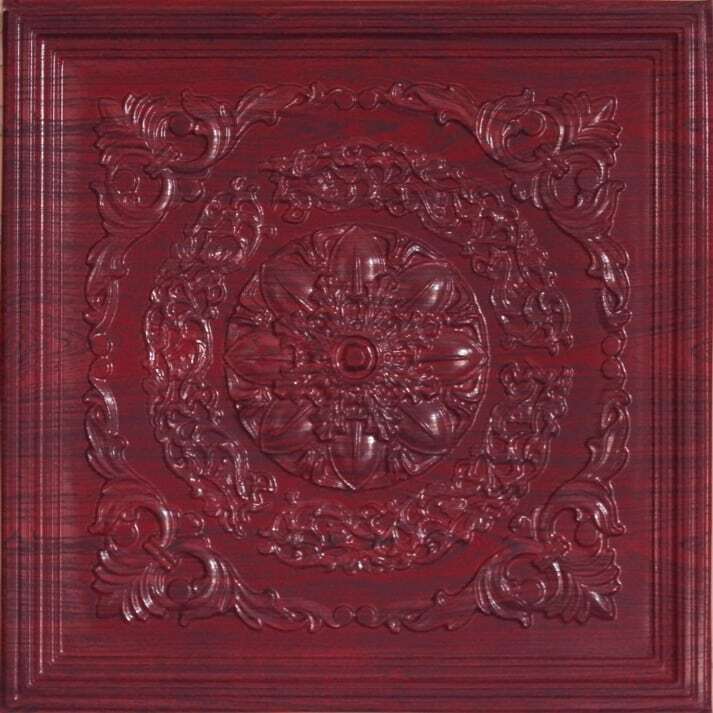 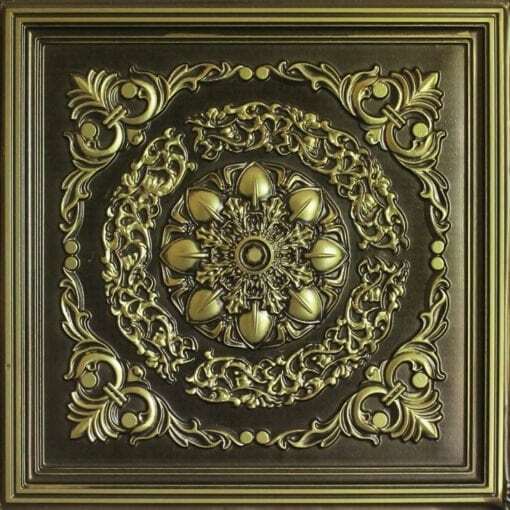 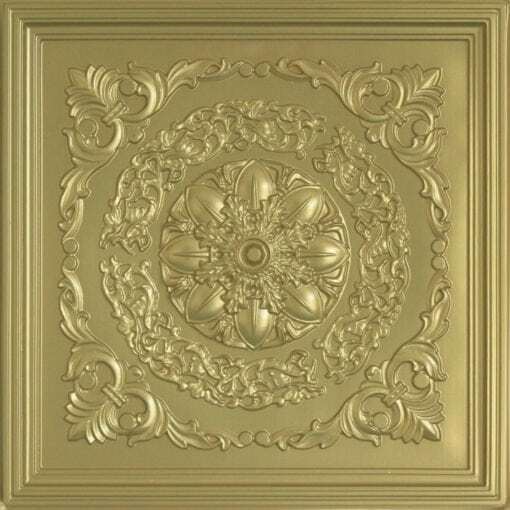 These Faux Tin Ceiling Tiles will prove to be a perfectly authentic touch to suit your Antique or Medieval décor. 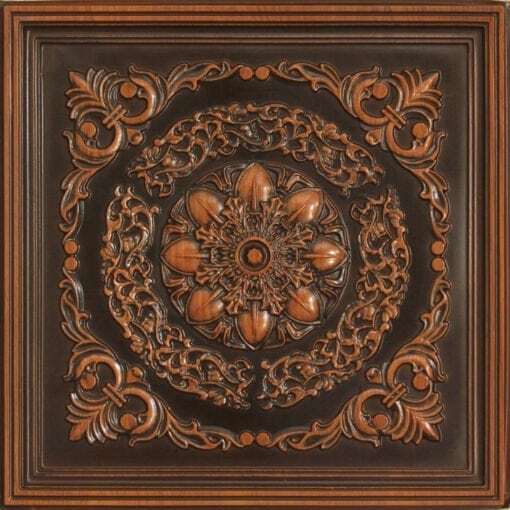 They are available in several colors and suitable for drop in or glue up installation. 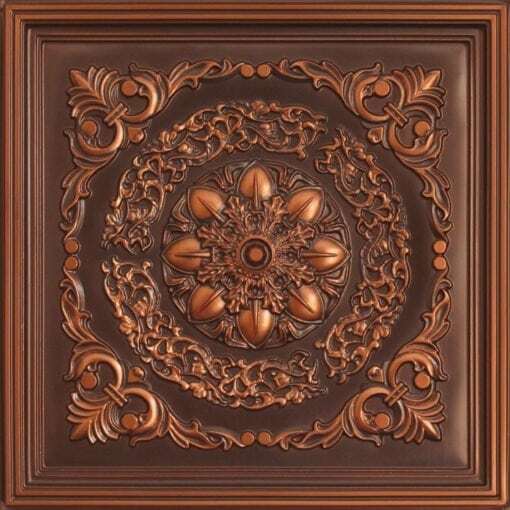 There is no need to hire a contractor since installation is so easy that you will not need any previous experience. 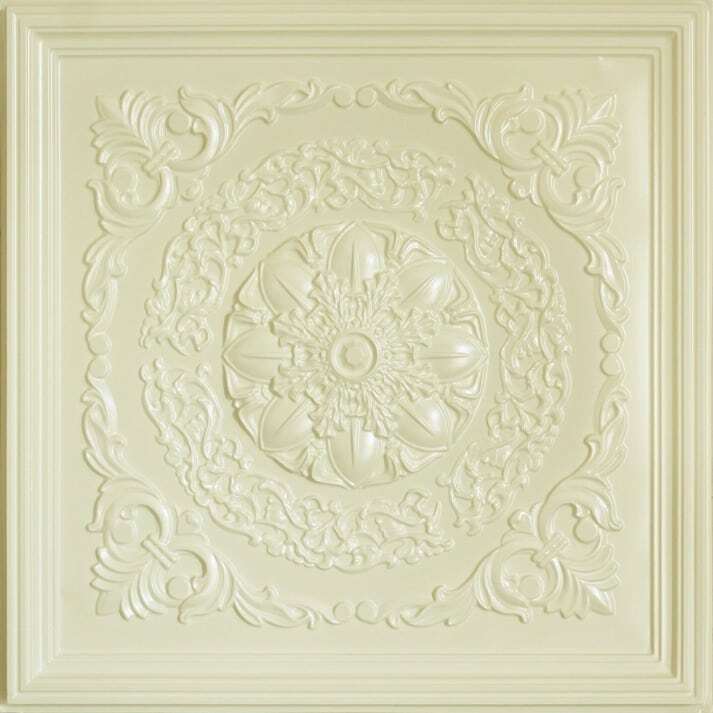 For the glue up installation, you will need a foam roller, adhesive, and a cutting tool. These tiles are part of our Prestige Collection and, as such, they are waterproof and temperature resistant. 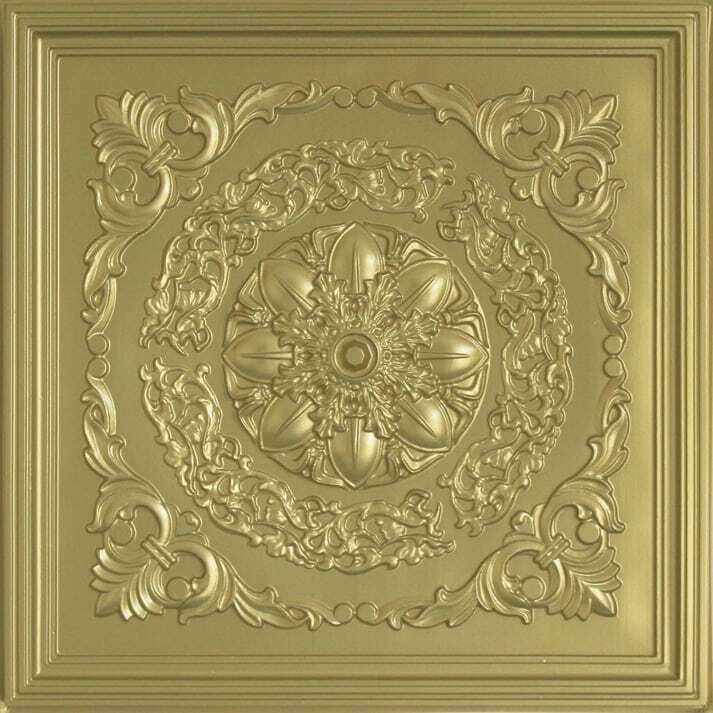 They also have a Class A Fire Rating from Intertek Testing Services (USA). 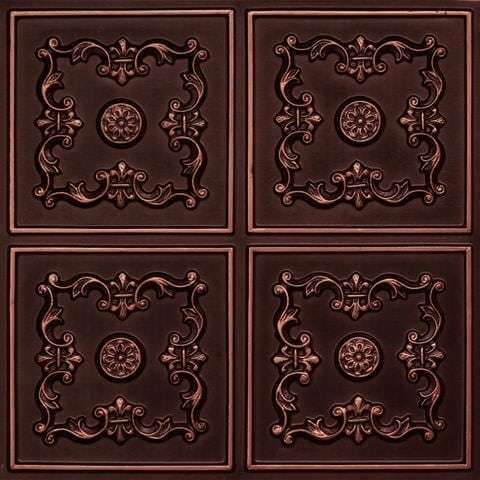 When you install these tiles, you will be adding both style and safety to that room! 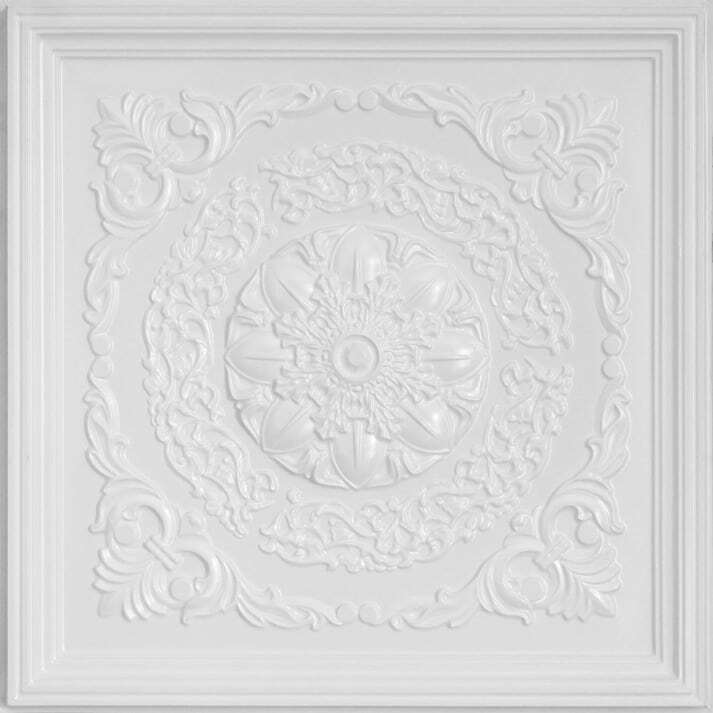 We suggest ordering an additional 10% for regular ceilings or 15% – 20% for irregular ceilings. 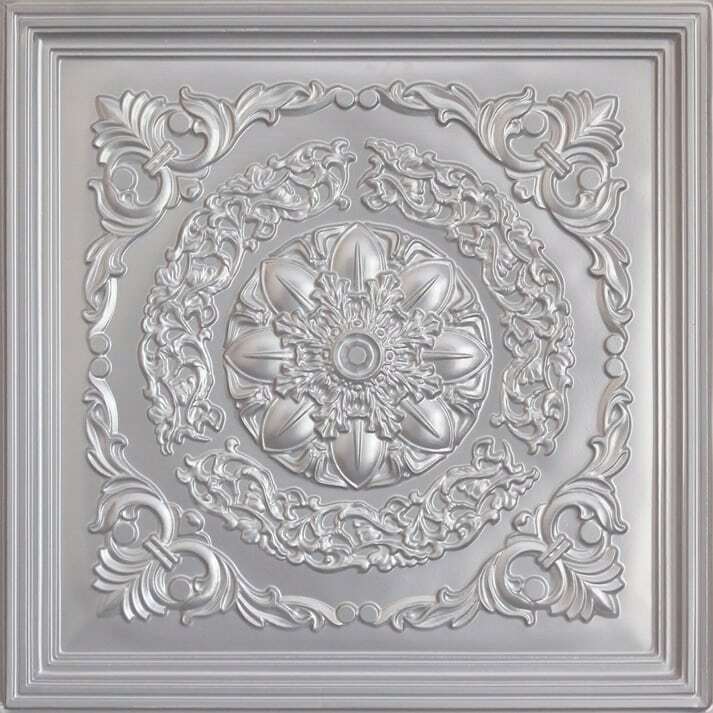 This is to ensure that you have enough tiles to cover the entire ceiling without having to place another order. 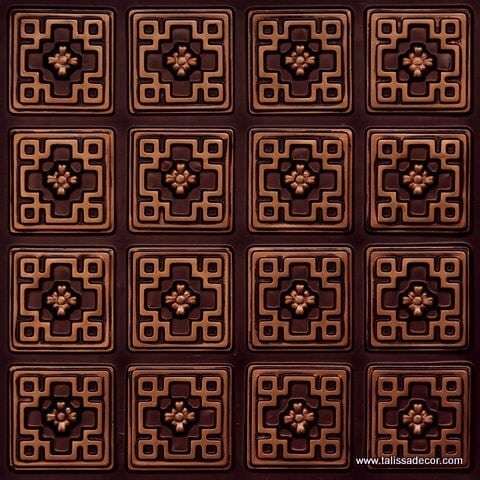 When multiple orders are placed, the tiles can differ slightly in terms of color and design. Ordering additional tiles ensure that you also allow for waste and offcuts. 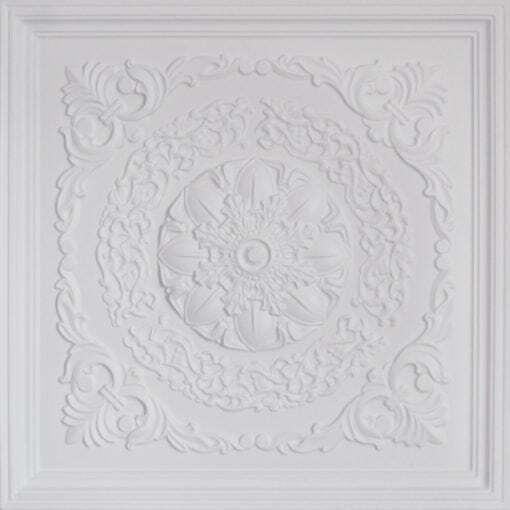 It’s also recommended that you plan how you wish to finish the edges of your ceiling. 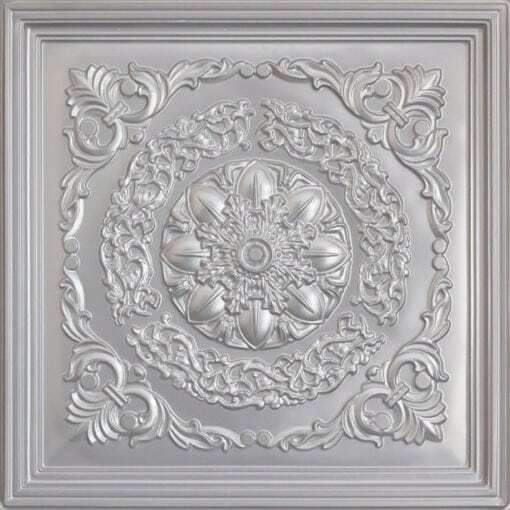 This can be done by using crown moldings, filler tiles with a similar style, or you can leave the raw edges as they are. 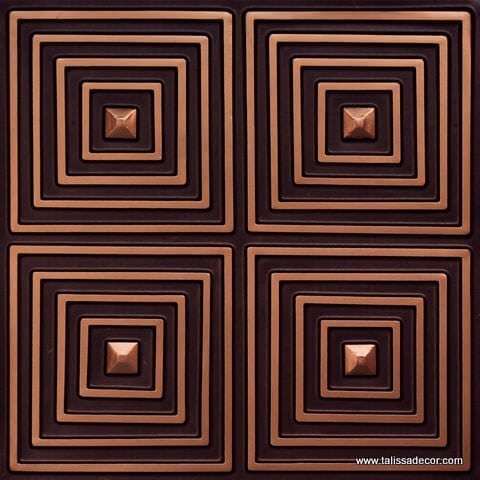 These tiles are self-supportive and can be installed by drop in or glue up installation. 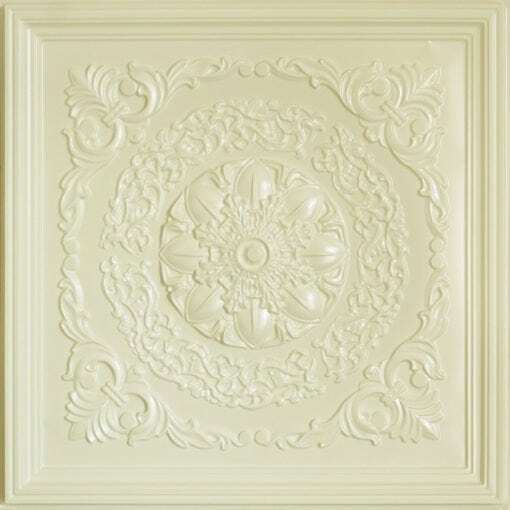 For the glue up installation, you will need adhesive, a foam roller, and a sharp cutting tool. 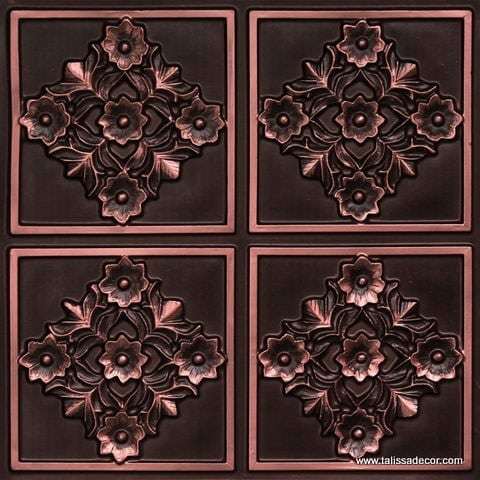 For more details on how to install these tiles, visit our installation instructions page. Once installed, there is no need for further treatments. 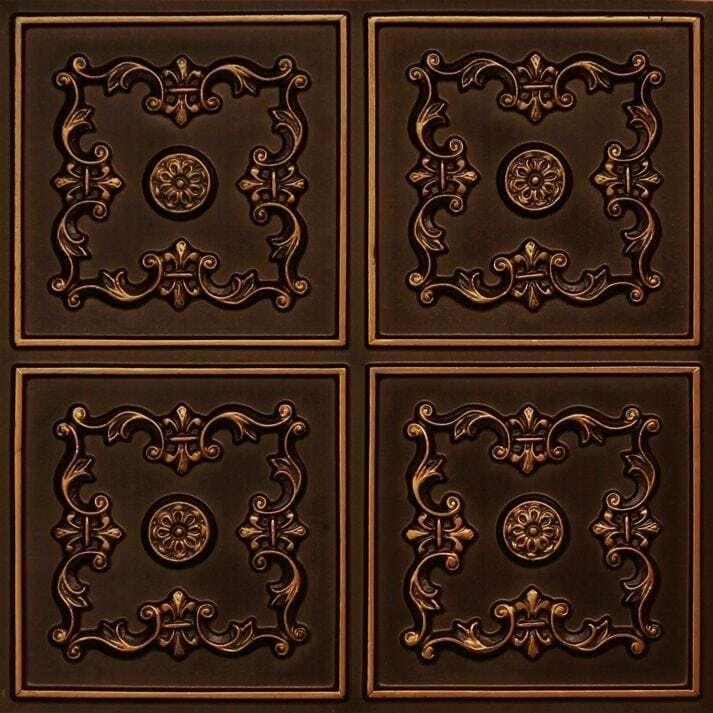 These tiles do not require any special care. Cleaning can be done using water and a cloth. 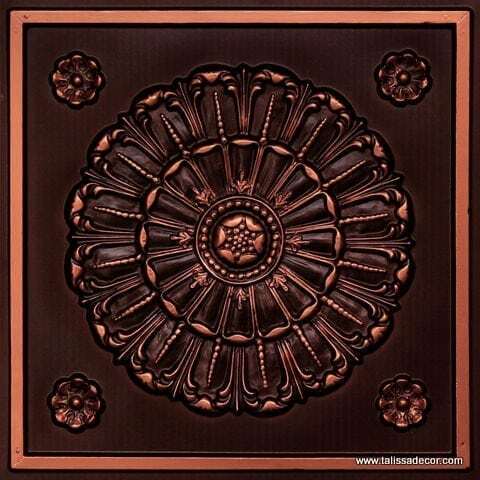 Mild soap can be used when needed. 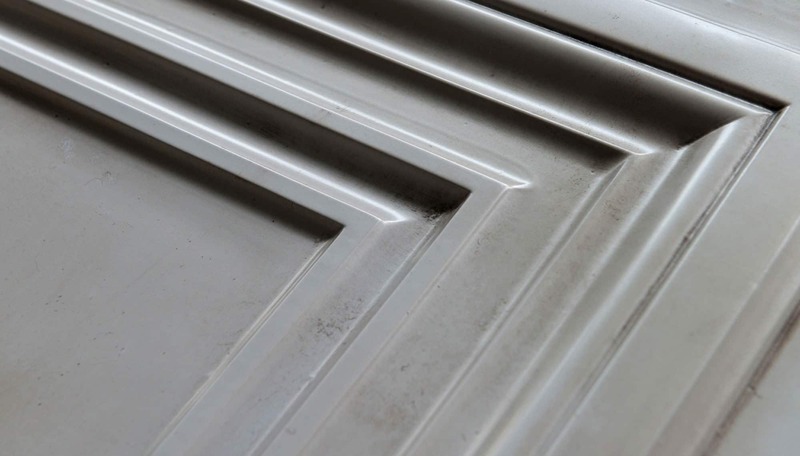 Strong chemicals and abrasives should be avoided since use results in distortion and discoloration. 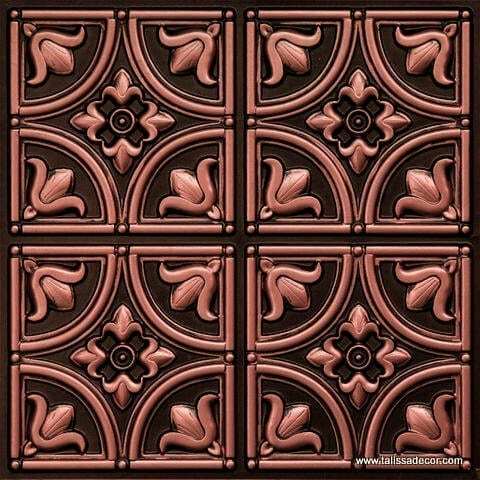 These tiles should be used indoors only and on closed patios. 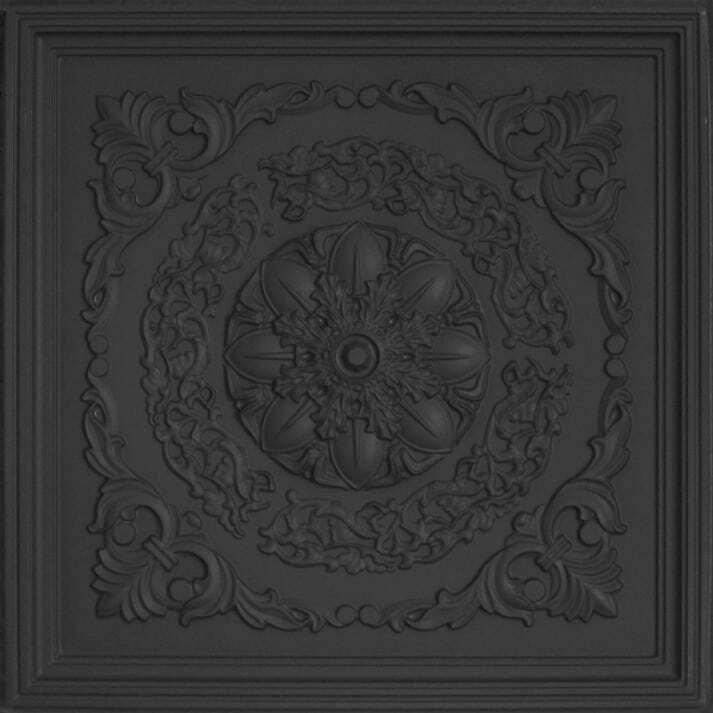 This is because sunlight exposure causes weakened structural integrity and fading.